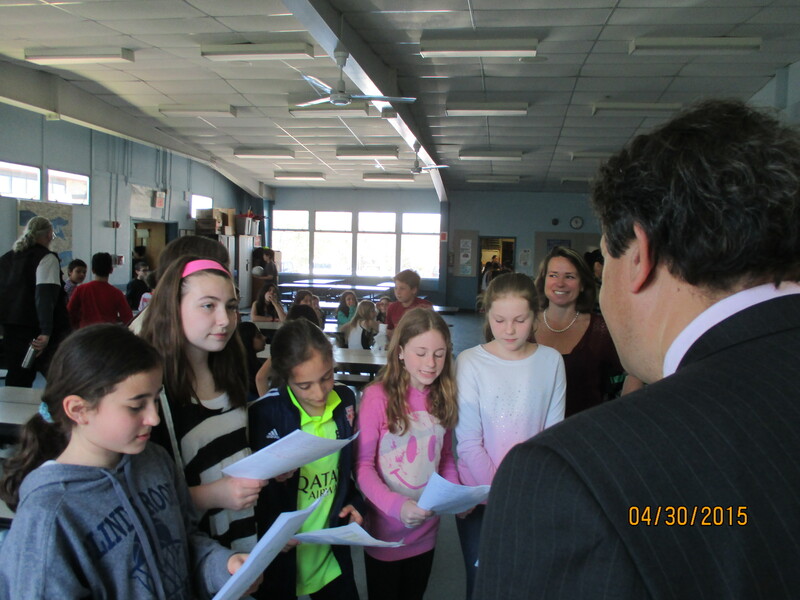 Five eager 5th graders from the Blind Brook’s BMP Ridge Street Elementary school’s Green Team were very proud to present the results from the recent implementation of the We Future Cycle School Recycling Program to Senator George Latimer, BOE President Jeff Diamond and Rye Town Councilwoman Christina Collins. Everybody listened attentively as the students described how they conducted a waste audit in the lunchroom and learned that Ridge St Elementary school regularly generated 12 large garbage bags weighing a total of 186lbs and Senator Latimer expressed amazement when they shared with him that after source separation only 8lbs of trash are remaining (4% of the total waste). All the other materials are diverted into recycling and composting. Senator Latimer was also interested in learning how this program could be brought to additional Westchester County schools. 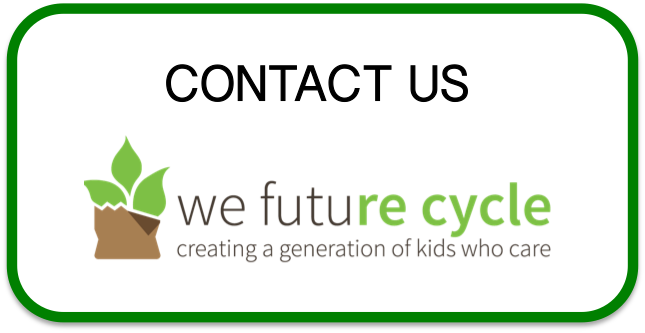 The Blind Brook Board of Education was instrumental in getting the district to adopt the We Future Cycle program and BOE President Jeff Diamond was very pleased to see the system up and running so amazingly well. Councilwoman Christina Collins, who also chairs the Rye Town Sustainability Initiative, has been supportive of the program from the first moment she heard about it and is delighted to see it in action. The Blind Brook PTA sponsored the program in the district, and many PTA members volunteered during the first few weeks to get everything running smoothly. Thank you to everyone for the support!